Who doesn't love when the word extreme can be used as an adjective in the positive sense? And, when that word can be used to describe a positive attribute of a lens, that lens will gain the attention of most of us photographers. Even if we cannot incorporate the extreme lens into our kits, we at least enjoy drooling over it. Are you finding it difficult to create images that stand out? Using an extreme lens is one way to make your work rise above in a crowded photo world and that can be what is needed for photographical success. Thus, I've compiled this list of extreme recommendations. 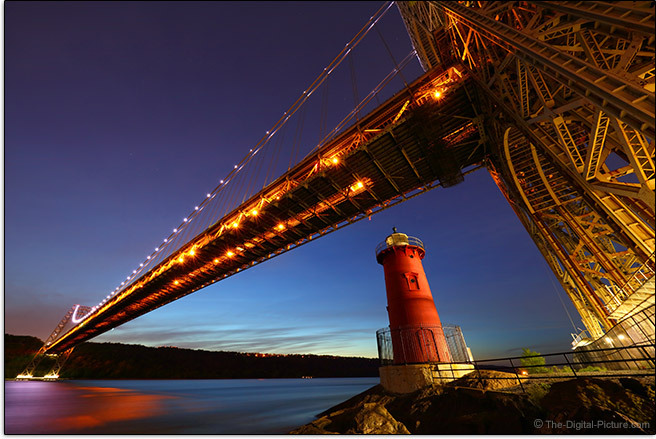 Keeping yourself out of the frame may be your biggest problem when using this lens. With a zoom range that starts with a 180° diagonal angle of view on an APS-C camera and a circular 180° angle of view on a full frame camera, this lens can make a subject appear right in the viewer's face. 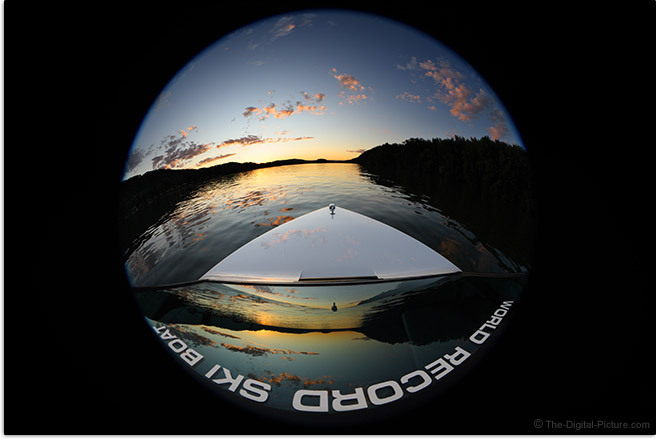 While the 8-15mm Fisheye is the right nominee selection for the extremest wide angle Canon lens, there is another lens that deserves mention here (it is my favorite) and this is the lens responsible for creating the opening image on this page. 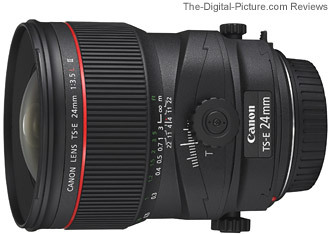 The lens I'm referring to is the Canon EF 11-24mm f/4L USM Lens. If you prefer to avoid the heavy fisheye barrel distortion, this lens is ... awesome. When referring to focal lengths, the opposite of wide is long and going really long can be really useful. When you need to frame a subject tightly and can't get closer, due to physical barriers, a subject that does not tolerate closer proximity or for safety reasons, you might want really long lens. When you want to capture a compressed look from a distant perspective, you might want a really long lens. When you want to create a very strong background blur, making a subject stand out from even a busy, otherwise-distracting backdrop, a really long lens might be just what you need. There is a lot of mass to this lens, but the 600 f/4L IS II brings the full package. The fast and accurate AF can keep up with your quickest subjects, the solid weather-sealed construction is ready for whatever outdoor weather brings and the image quality delivered by this lens will satisfy the most pixel dense sensors out there. I know, some of are saying, "Wait! 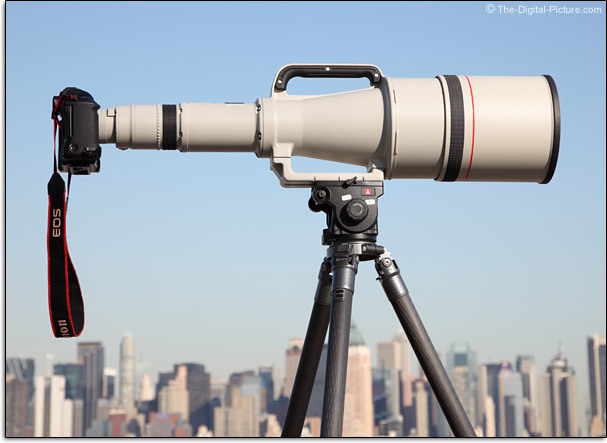 Why was the Canon EF 800mm f/5.6L IS USM Lens not chosen?!" Well, that is a very relevant question. 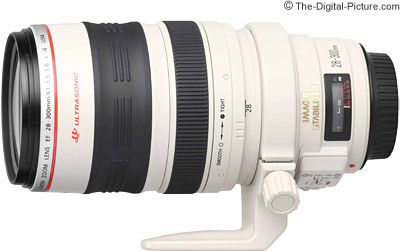 With a 1.4x III Extender mounted behind it, the 600mm f/4L IS II becomes an even longer 840mm lens with the same f/5.6 max aperture. When reviewing the 600, I determined that the 600 + 1.4x extender combination was similar in image quality to the 800, and with the added versatility of 600mm f/4 being available along with a noticeably lower price tag (including the extender), I usually recommend the 600 for those wanting the longest focal length. But, one of my self-imposed qualifications was that the lens must be currently produced by Canon and alas, this one is not. In addition, this lens costs as much as a small house in the suburbs, which takes it beyond even extreme consideration for most. We talked about extreme wide and long focal lengths, so we'll stay on the subject line by picking a single lens that has the best of both. 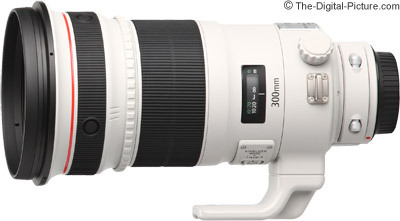 When you need/want both wide angles and long telephoto focal lengths, but can/want to carry only a single lens, cannot change lenses (perhaps in a very dusty environment), cannot change lenses fast enough to get the needed focal length or are too lazy to change lenses, you want a super zoom. Sacrifices must be made to enable such a long range of focal lengths, right? Sure. This lens is not small, light or inexpensive, it is not the sharpest available and it does not have the widest aperture available, but there are times when the sacrifice more than offsets not having the right focal length immediately available. 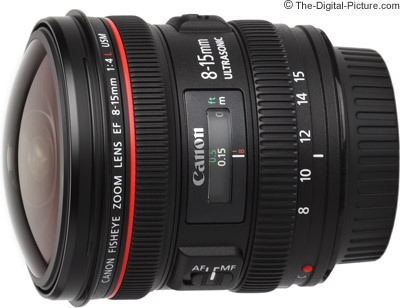 This time you are saying "What about the Canon EF-S 18-200mm f/3.5-5.6 IS Lens? 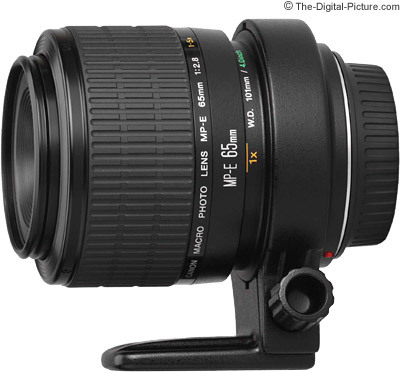 Though limited to APS-C format cameras, the EF-S 18-200mm lens is similar in it's angle of view range, framing like a 28.8-320mm lens on a full frame body. Why not choose this one? Eh ... it just doesn't seem as extreme. At its most-distant focusing distance, this lens delivers a 1x maximum magnification (or 1:1 reproduction ratio) and it goes to 5x! Consider that, at this distance, a subject is rendered on your camera's imaging sensor 5x larger than life-size with a 36mm wide full frame sensor being essentially completely covered by a 7mm-wide subject. Then consider what that subject will look like on your monitor or printed huge! The number of subjects available for this lens may surprise you. 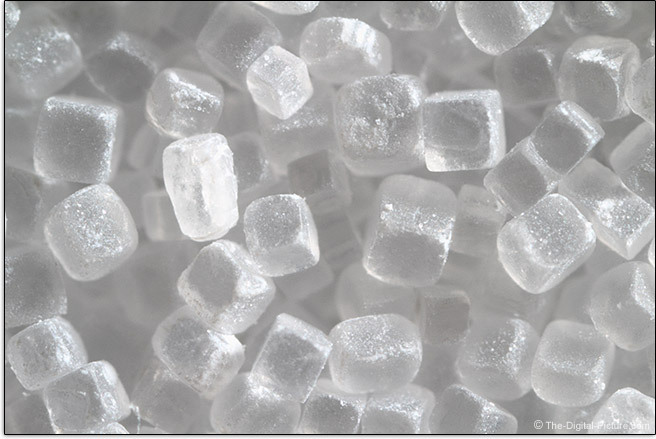 They are found in your refrigerator, your kitchen cabinets, your garden, etc. This lens was the sole nominee for this award. No other lens comes close. Everyone loves a diffusely-blurred background and though the term bokeh refers to the quality of that blur, people like to refer to the blur as bokeh, and for this award, we'll go with that. 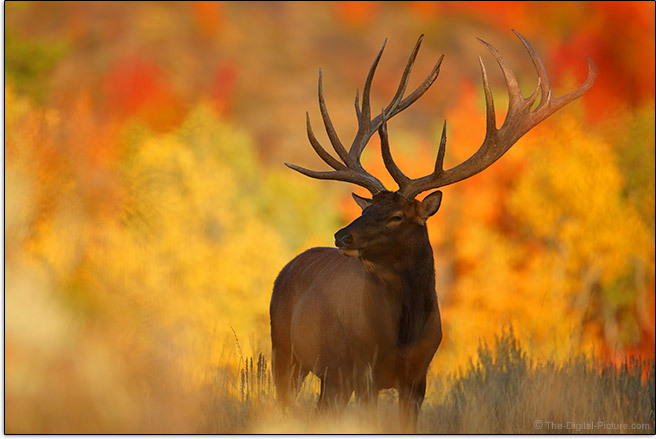 To gets lots of bokeh, use a lens with both a long focal length and a wide aperture. And, when it comes down to one or the other, a long focal length gets my vote. A 24mm lens, even with an f/1.4 aperture, is not going to get the job done here. The list of nominees for this award is quite long, including favorites such as the Canon EF 85mm f/1.2L II, Canon EF 135mm f/2L and Canon EF 200mm f/2L IS lenses. While these are excellent choices, the longer focal lengths still rule for maximum background blur. 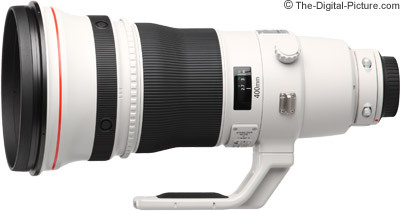 If you can get past the price, the Canon EF 400mm f/2.8L IS II USM Lens will blow you away in most other regards. This is simply one of the most incredible lenses available and one of the ultimate action sports lenses. The 400 f/2.8 IS II features superb image quality at even wide-open apertures, incredibly fast AF and best-available build quality. 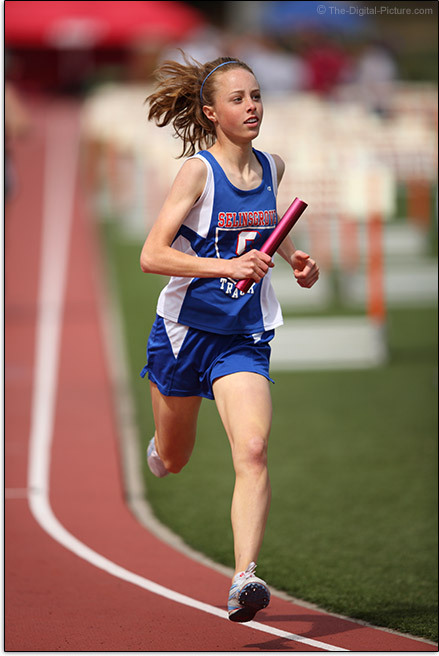 The 400mm focal length is very useful, but not for everything. Those needing a strong, attention-grabbing background blur at wider angles (or a lower price) should consider one of the previously-mentioned lenses. Also, those wanting to handhold a lens should also consider an alternative. After a round of lens announcements in August 2017, Canon's selection of "special effect" lenses was significantly bolstered with the addition of three new tilt-shift lenses. Now Canon has a grand total of seven such lenses available, five of which belong to their exclusive red ring club. Commonly, these lenses' tilt effect is used to create a "miniature" look, causing subjects to appear tiny in relation to their true size by tilting the plane of sharp focus, leaving much of the image blurred. Otherwise, the shift effect is used to keep vertical lines from appearing to converge in architectural imagery. This lens has the moves! Just learning to use these movements is a valuable education. 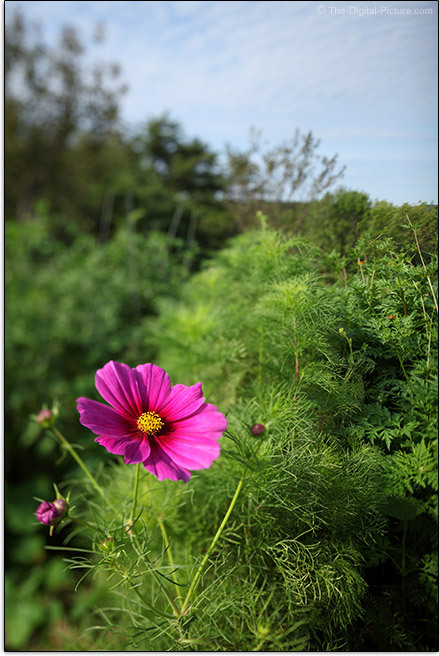 Shift the lens to adjust perspective and tilt the lens to cause the plane of sharp focus to also tilt. While this latter feature can be used to keep everything in the image, from foreground through background, in focus, it can also be used to create the special effect being referred to here. The latest introduced TS-E lenses (the last three listed) also feature a 0.50x maximum magnification rating allowing for an even greater array of creative captures. Everyone loves carrying and using a tiny, light lens. You barely know it is there. The only thing big about this lens is the picture above, which probably shows as much larger than life-size if you are not browsing from a mobile phone. Even the price of this one is tiny! It is small and light and the price on the tag is miniscule. But, don't let those factors concern you. This lens is the real deal with sharp image quality and very nice build quality. If 40mm is slightly long for your needs (and you use an APS-C/1.6x format camera), you will be happy to learn that this lens has a near-identical twin! 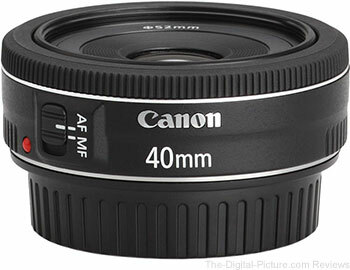 The Canon EF-S 24mm f/2.8 STM Lens is essentially the same lens in a 24mm focal length. The best idea is to get both - and that the price at checkout will still be far less than most other lenses cost will bring another smile to your face. While an extremely small, light lens may not create extreme imagery, you will want to carry it all of the time and having a camera always at-ready means you will have photo opportunities not otherwise available and more opportunities increases the likelihood of an amazing photo happening. I was going to include an "Extreme Large/Heavy Lens" category, but ... the 400 f/2.8L IS II and 600 f/4L IS II would also win that title. While an extremely large and heavy lens does not directly imply extreme imagery, a lens design requiring that classification is usually something on the extreme side and just using an extremely large lens will get you attention. Check this out. The sample crops provided in the site's image quality tool are created using a low contrast picture style with a very low sharpness setting. And the corners look like the center, which is better than many lenses can produce at any aperture. Truth is, we have some really sharp lenses available to us today. For example, check out what this zoom lens can do. Very impressive. As always, the lens matters a great deal to final image quality and seldom is "sharp" not what I want. Check out our other lens recommendations.